“Dude! Your emails are so so good. Would love to learn how to write like that. First, this is what happens when you bend your business and your strategy around the white hot center of your list, the people who like what you’re teaching, instead of the trolls on the fringes. I’m not a fusion reactor. I have a limited amount of energy - and I’d rather focus it on subscribers who are ambitious, who are teachable, and who appreciate what I’m doing. But to be able to help those subscribers, you need to understand them. You need to go down the rabbit hole, and get into their world, and look out their window. I get that. But if it were easy, you’d have done it already. Because you’re ambitious and you’re teachable. Ok, I get what the struggle is, and why it’s hard, but what do you wish was happening instead? Cool. What will that do for you though? In other words, why is it important to you to get responses like that? What will that allow in your business? I get responses like Ro’s every time I hit send. And every time it brightens up my day. It doesn’t require a sales funnel that’s complicated enough to launch a rocket to Mars. You can make sales almost every time you send an email to your list. You send an email, it entertains and helps someone, and the goodwill you extend comes back to you in the form of hard cash. For example, I sent this email on 08 Feb 2017. It took me 62 min to write. Brought in $996 in sales. Sent this email. Took me 1 hr 41 min to write (I was feeling particularly uncreative that day, and had a severe case of brain fog). Brought in $791 in sales. Sent this email (37 min) followed by this email (15 min) to the 17 people who joined the waitlist. Brought in $938 in sales. 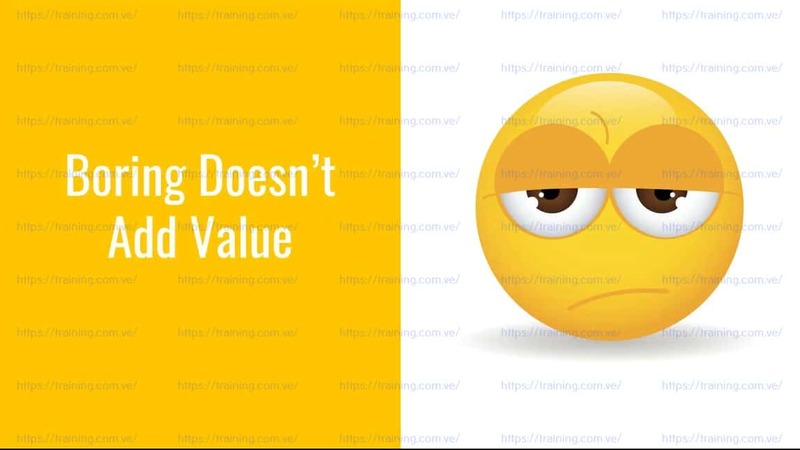 You want to write memorable marketing emails with unusual, off-the-wall copy that stands out like a supernova in the night sky, creates superfans, and sells out your stuff? Great. I can help with that. But only if you are ambitious and teachable. What results do you walk out of the programme with? 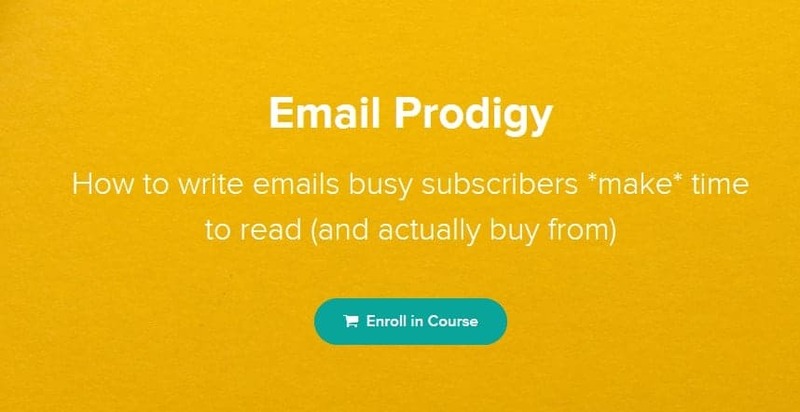 Email Prodigy is for online entrepreneurs who want to write marketing emails that their subscribers *make* time to read, and actually enjoy buying from, so that you can make more sales (almost) every time you email your list. And that’s why I HAVE to limit it to 5 people. Because you only get responses and results like that when you write and market from your zone of genius. Which means, I need to shape the exercises around *your* strengths. I need to personally go in and edit your emails with you until they sing. I need to dissect your homework and give you line-by-line commentary and psychoanalysis until you “get” it. Frankly, I can’t be that “hands-on” with three hundred students. Ultimately, the logistics are irrelevant. I sell results, and I’ll bend the logistics around them until I can get you those results. I'll limit each cohort to just 5 students, so you can all get personal attention from me. The next cohort starts on 07 May 2018 and finishes on 18 June 2018. 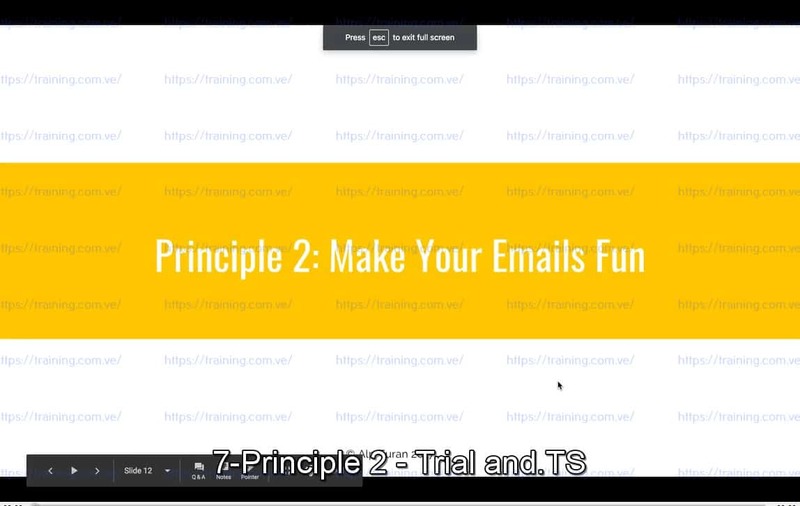 The programme material is delivered through a combination of recorded videos, weekly workshops (you can attend live or watch the recording), and office hours where I do teardowns on your emails. You should set aside 5 hours per week: 2 hours for the course material (videos and weekly workshop) and 3 hours for homework. The prodigious ability to whip out a sales email in as little as 15 minutes that your subscribers will *make* time to read and actually buy from. It's open only to ambitious, teachable subscribers who appreciate my way of doing things. If you want to get in and plant your flag on the supernova before it disappears off the night sky, do it today. Alp is the founder of Trial & Eureka, where he helps online businesses in the growth stage line up buyers for their product. As a lawyer-turned-marketing strategist*, he tried to start a blog but accidentally built a marketing agency. (*That sounds like “Sauron turned Sith”, but it’s all innocuous really.) Obviously, after leaving the Dark Side he had to put those professional stalker skills to good use, so he now advises entrepreneurs on how to find their target customers online. The next run of Email Prodigy will start on 07 May 2018. Download the course materials here.